The locally constructed Nebuta float is seen in last year’s Hollywood Christmas Parade. 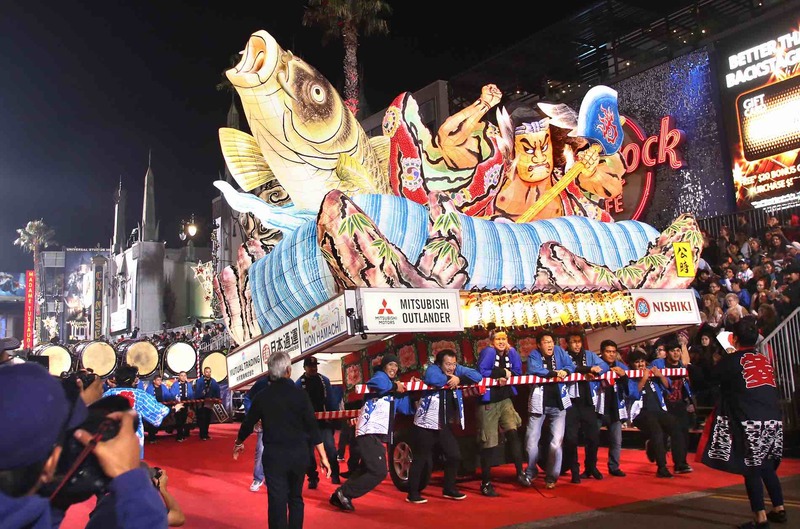 The Hollywood Christmas Parade makes its annual trek down Hollywood Boulevard this Sunday, and the Japanese Nebuta float and marching unit will make a return appearance. 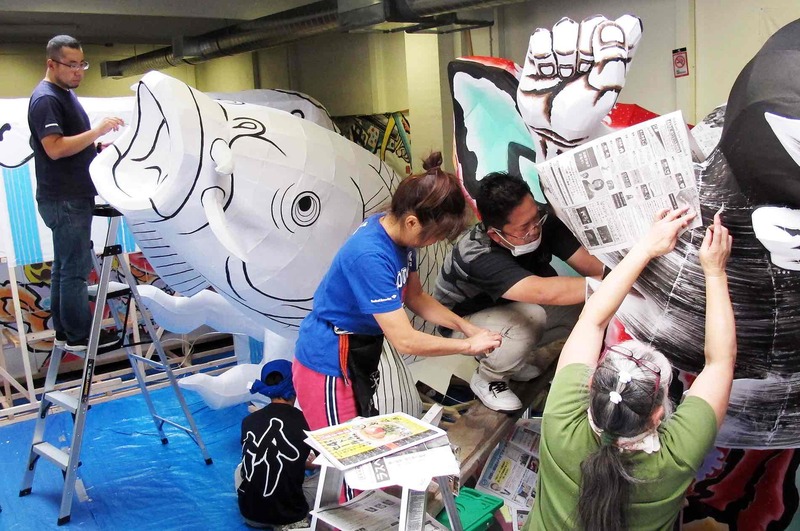 Inspired by the popular Nebuta Festival of Aomori Prefecture, one of the largest and most famous festivals in all of Japan that dates back hundreds of years, the lighted, handmade float has been a crowd-pleaser wherever it is displayed. This year marks a historic edition of the parade, which began in 1928 as the Santa Claus Lane Parade. It was the brainchild of local merchants hoping to boost holiday sales by renaming a stretch of Hollywood Boulevard as “Santa Claus Lane” during the Christmas season. The parade begins this Sunday, Nov. 25, with a pre-parade concert at 5 p.m., followed by the parade at 6 p.m. The parade features some 5,000 participants, and will be taped for multiple nationwide network television broadcasts to be aired during the holiday season. The parade will travel along a 3.2-mile U-shaped route, starting at Orange Street and Hollywood Boulevard, traveling east on Hollywood Boulevard to Vine Street, turning south on Vine Street to Sunset Boulevard, and then turning west on Sunset Boulevard traveling back to Orange Street. Grandstand seats are already completely sold out, but free curbside seating will be available along the route, starting at the intersection of Hollywood Boulevard and Highland Avenue, continuing along the rest of the parade route on Vine Street and Sunset Boulevard. Early arrival is strongly advised. The TV broadcast will premiere as a two-hour prime-time special on The CW Network on Friday, Dec. 14, at 8 p.m. and will be seen on the Hallmark Channel after The CW broadcast. The parade will also air to more than one million American servicemen and women worldwide on the American Forces Network on Christmas Day. As parking is always at a premium in Hollywood, visitors are advised to use one of the many pay lots throughout Hollywood or at the Hollywood & Highland Shopping Complex. There will be strictly enforced street parking restrictions throughout the area. Parade-watchers are urged to use public transit. For more information, call Metro at (323) GO-METRO or visit its website at www.metro.net. For further parade information, visit the parade’s official website at www.thehollywoodchristmasparade.org.